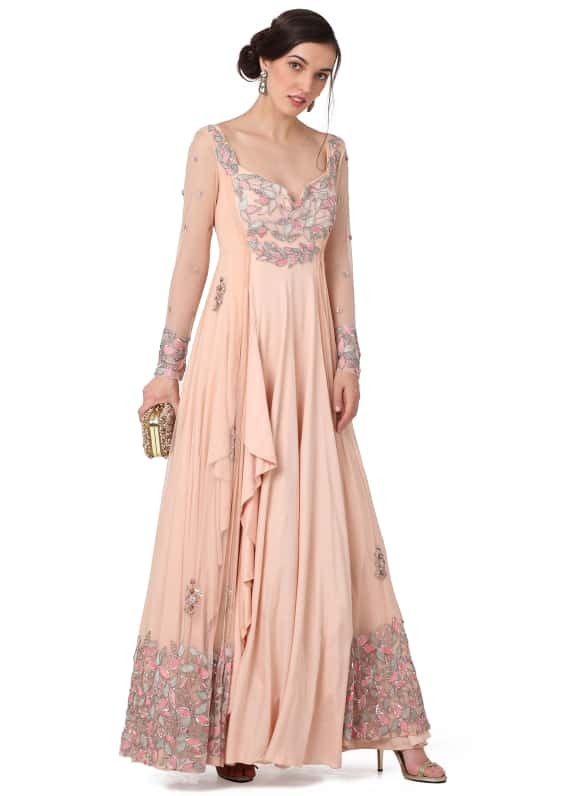 This baby pink anarkali gown features cutdana and floral sequins applique on the bodice and a heavily embellished net trail. 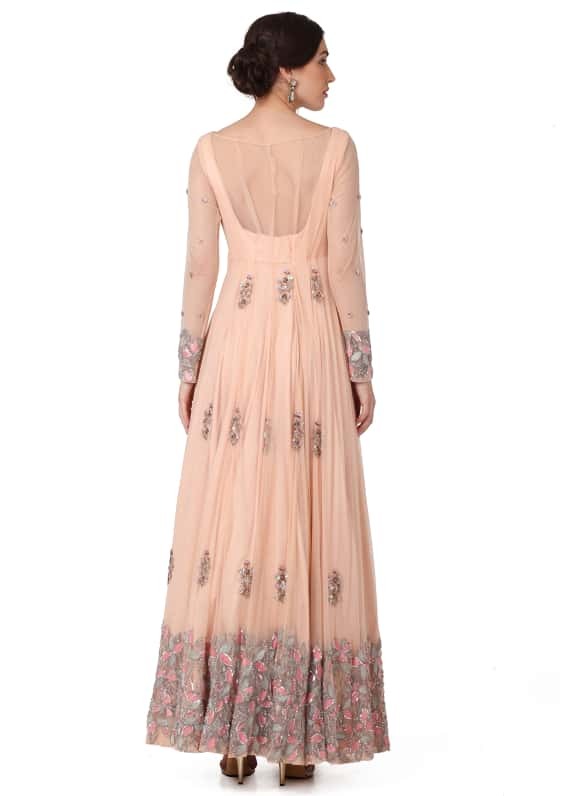 This pastel anarkali gown makes for the perfect outfit for an afternoon soiree or a sundowner. 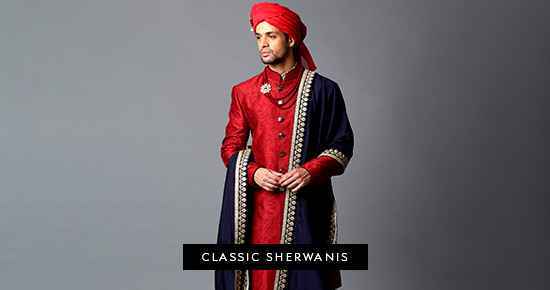 Wear this ensemble with Amrapali earrings and Alana clutch.